With so many colourful options, it is certain that the Aloha knapsack will complement your brand! 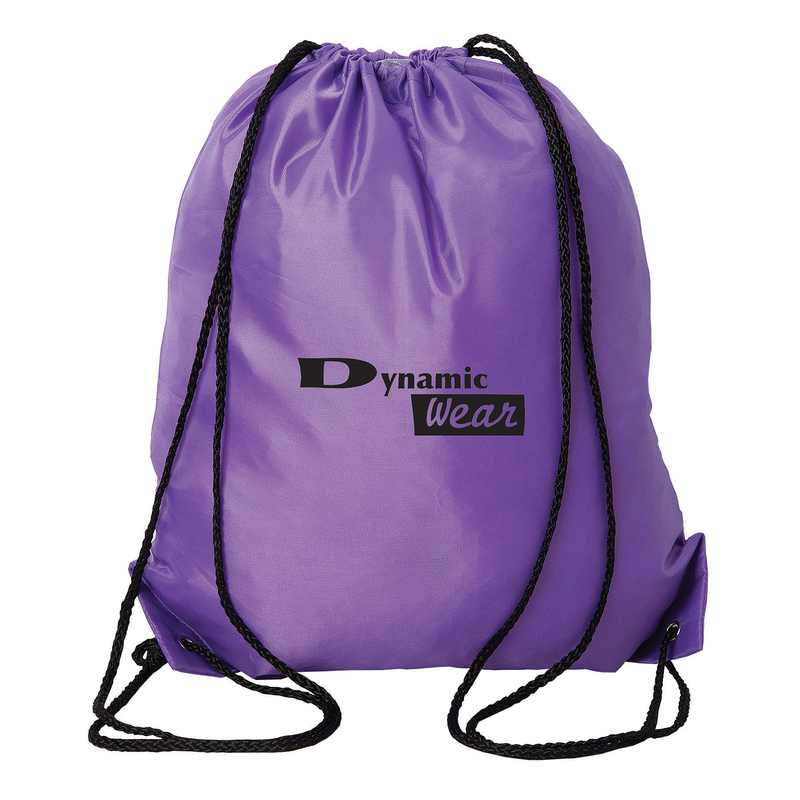 Made from 210D Polyester, this knapsack has a rope drawstring closure and metal grommets with reinforced corners. Alternative® Cotton Computer Rucksack moves through the world in a different way. 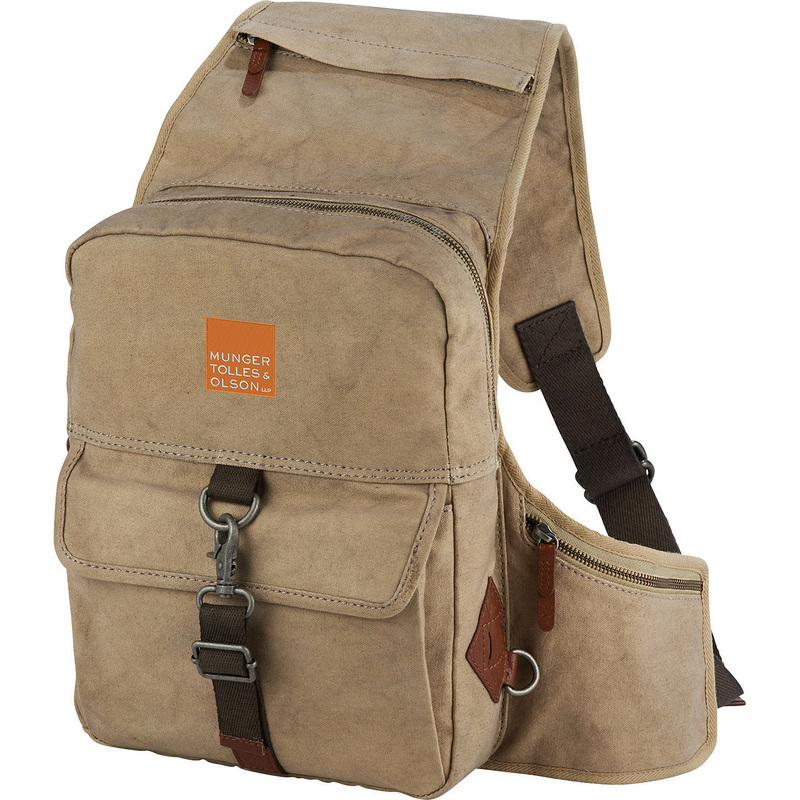 This rucksack combines a clean and understated exterior with everyday function. The heavyweight 16oz. 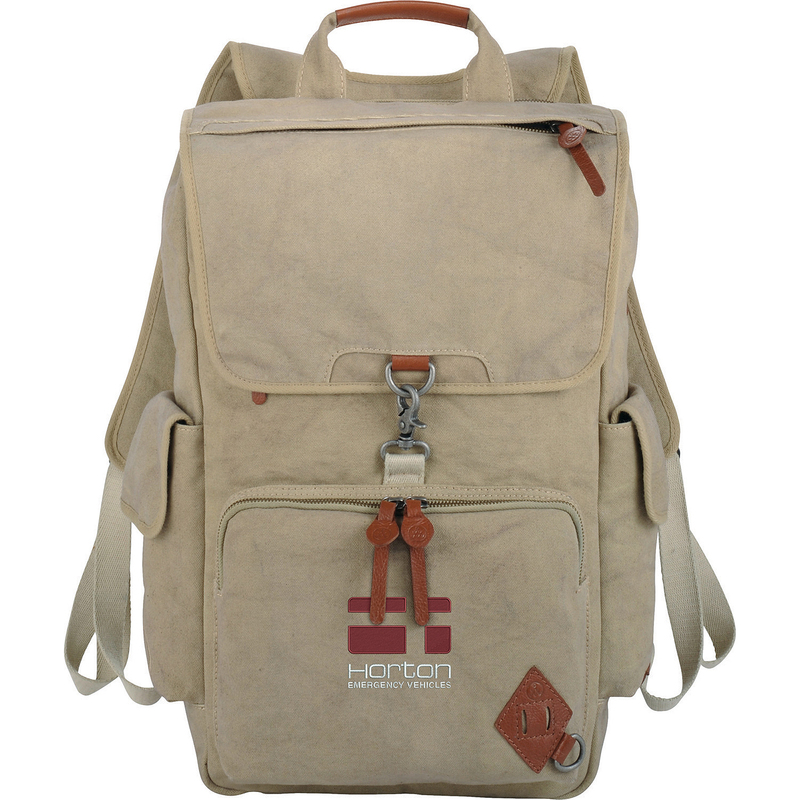 Canvas is paired with Genuine Leather accents to give it a modern and refined look. The rucksack features a padded computer compartment which holds up to a 15.6 inch laptop along with your iPad or tablet, cushioned shoulder straps and exterior slash pockets with custom striped cotton lining provides a premium look and feel. Alternative® moves through the world in a different way. Creating products people want to use every day; Alternative® represents quality materials and durable construction. Stash and carry everything for the day, or week, in one place. With ergonomic straps and plenty of pockets, you're good to go via bike, subway, car or foot. Dedicated rear laptop compartment holds most 17 inch computers. Spacious main compartment with soft cotton lining and zippered mesh pockets. Zippered pocket on front for quick access to your iPad or tablet along with additional zippered pocket on front with deluxe organizer for pens, business cards and cables. Additional pockets for organization under the flap, on exterior of flap and side pockets gives you plenty of space for everything you need. 16 oz. cotton and pebble leather details along with open cell foam in the body to provide structure. Alternative branding details include subtle embroidery, vintage hardware, and genuine leather accents. Alternative® moves through the world in a different way. Creating products people want to use every day; Alternative® represents quality materials, durable construction and design clarity. This messenger-meet-backpack style was designed for the minimalist or the person who wants to travel with the latest technology. Made from 100% Cotton and Genuine Leather, it is the ideal shape for cruising to the coffee shop on a serene Saturday afternoon. The main compartment is large enough to hold most Chromebooks and MacBooks up to 13 inches, or your iPad or other tablet. There is an additional pocket on the strap and waist for quick access to your iPhone, smartphone or wallet, and Alternative® branding details include subtle embroidery and genuine leather accents. The Nailhead Backpack is perfect for sponsorships and teams! 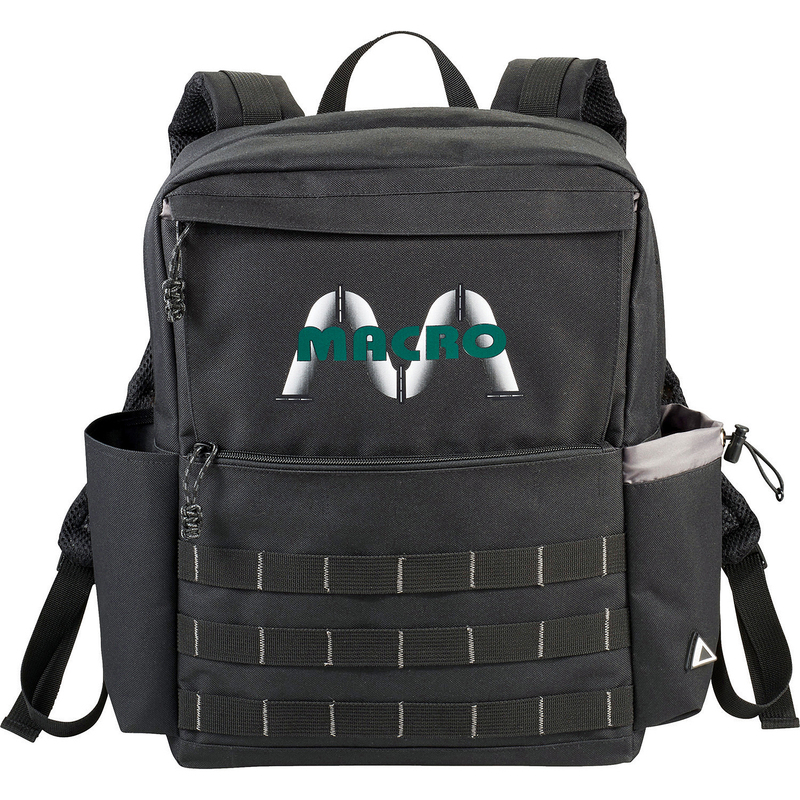 Made from 420D Pin Dot Polyester, this lightweight backpack features a padded back, organization panel, adjustable straps, easy grab handles, and padded interior laptop sleeve with velcro tab for added security. Fits most 15 inch laptops. 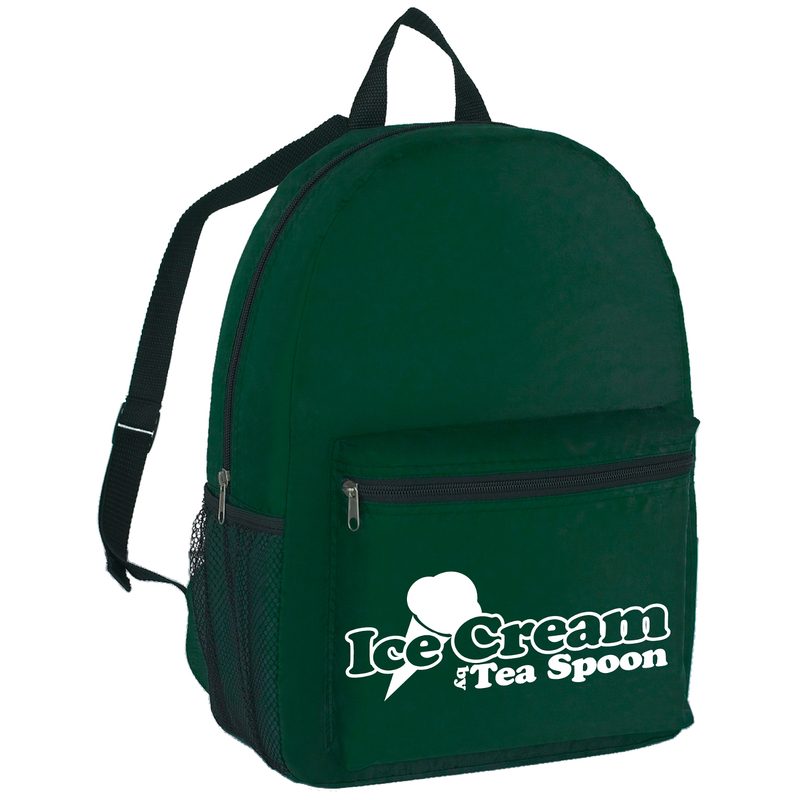 This Retro Backpack is a great way to showcase your brand! Made from 600D Polyester with a padded laptop sleeve that fits most 17 inch laptops. 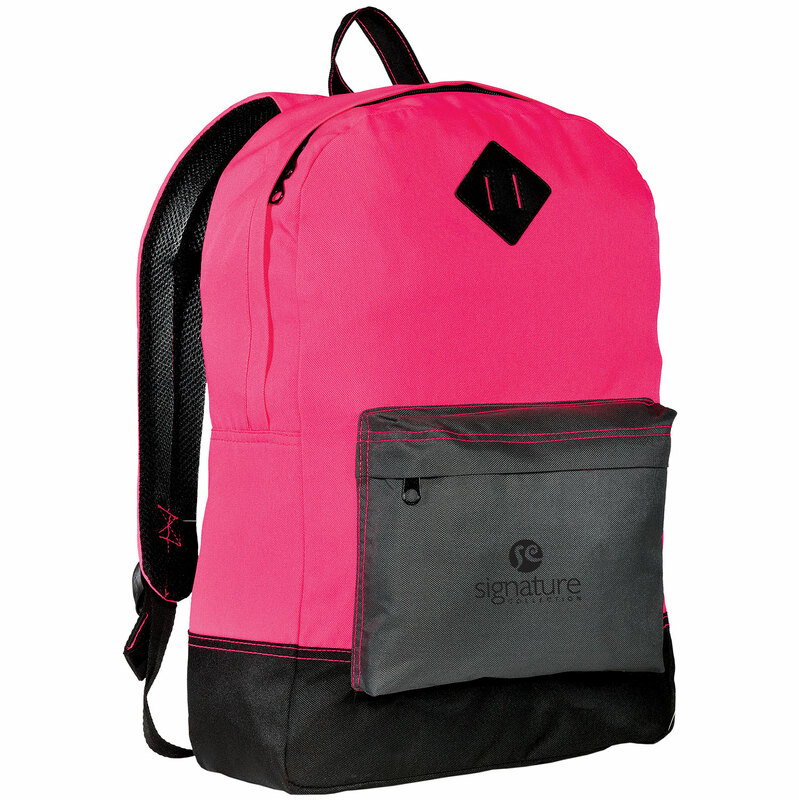 Features a front gusseted zippered pocket, and interior sleeve with elasticized opening. The padded back provides comfort, and the padded bottom adds stability. 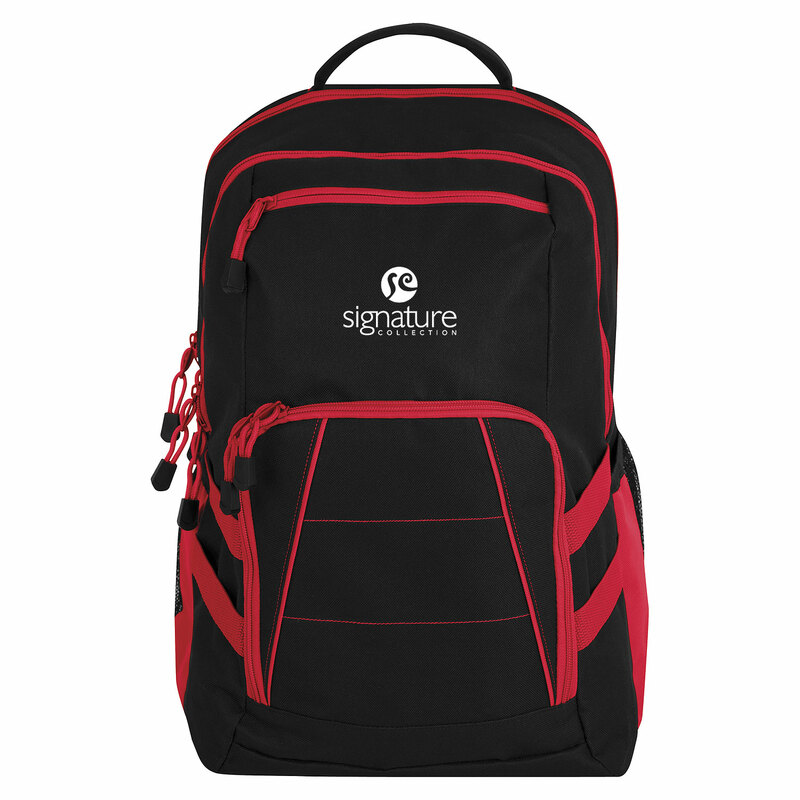 The ergonomic adjustable, padded shoulder straps, and padded back panel make this backpack a comfortable way to transport your belongings between classes or meetings!Made from 600d polyester the backpack features a main zippered compartment with a padded sleeve, secondary zippered compartment, front zippered pockets, dual side mesh pockets, and a laptop sleeve that fits most 17 inch laptops. The contrast design of this sack pack will make sure your giveaway stands out at your next event! 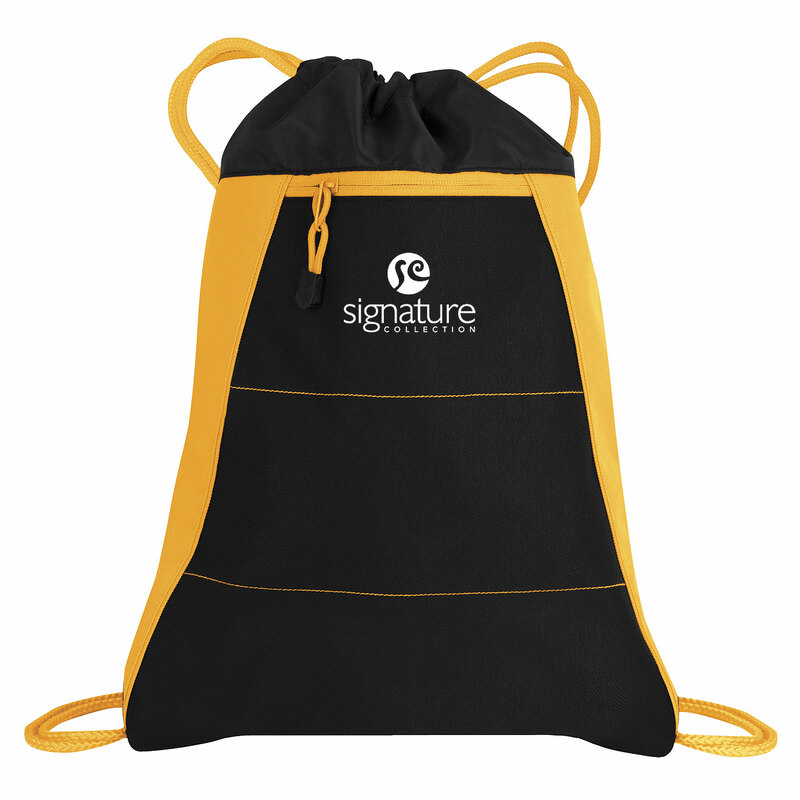 Made from 600d polyester, the sack pack features a cinch top opening with drawstring closure, front zippered pocket, and bottom metal grommets. This tactical compu-backpack was built for those that need a computer bag that is both functional and extremely durable. 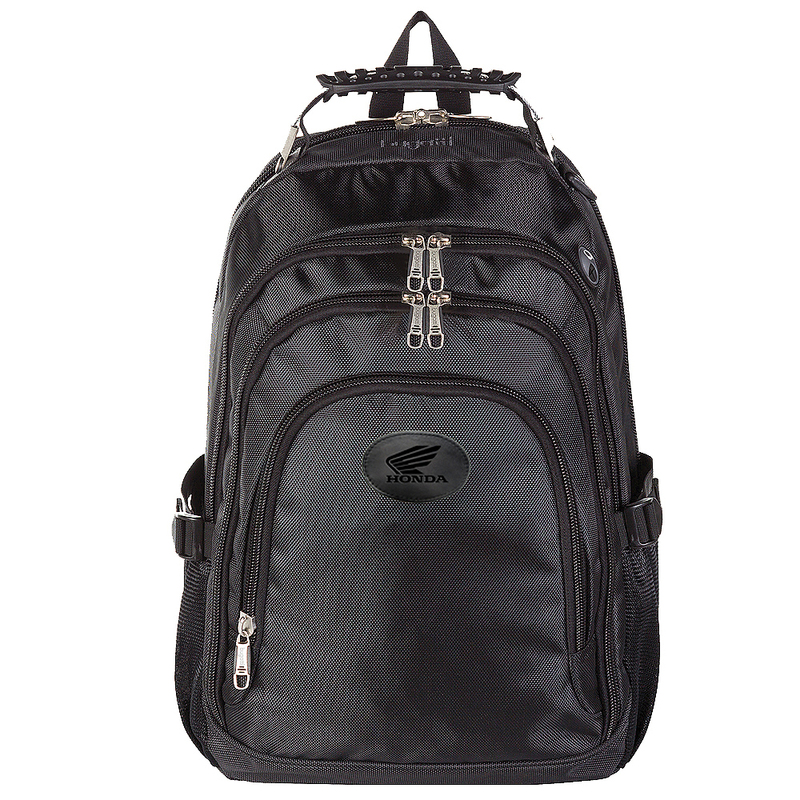 Made from heavy-duty 900d polyester, the breach compu-backpack will hold up to a 15.6 inch laptop, iPad or tablet, and all of the other accessories you need with you on a trip or job site. 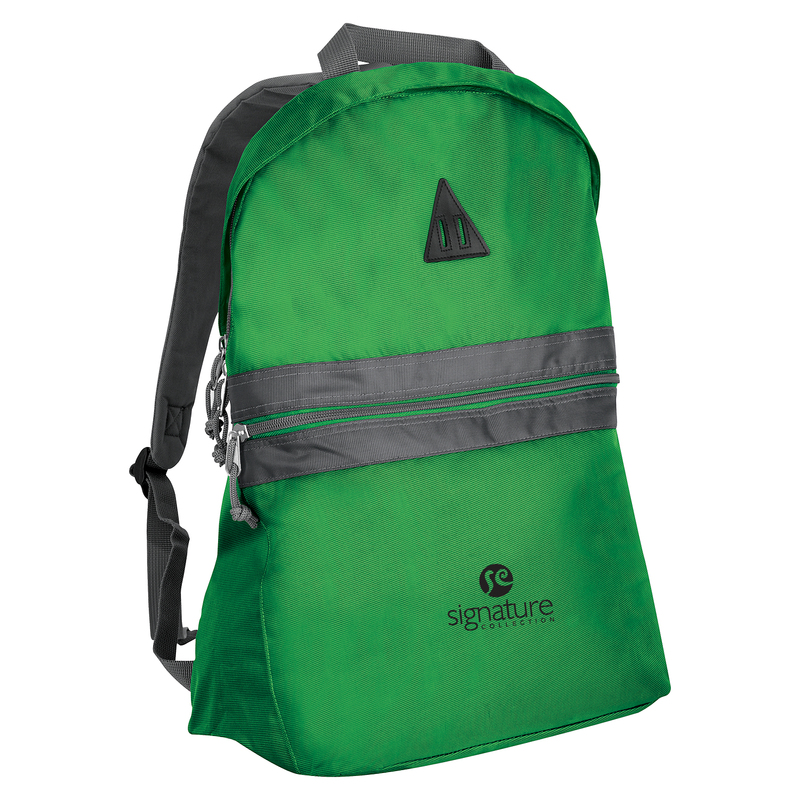 Features exterior webbing to latch additional accessories to, large side zippered pockets, and durable backpack straps with additional D-rings for more storage. Front accessory pocket with storage for things such as pens, business cards, mobile power banks, and cables. Perfect for any grade! From elementary to secondary school this budget backpack will keep their books and pens in place. 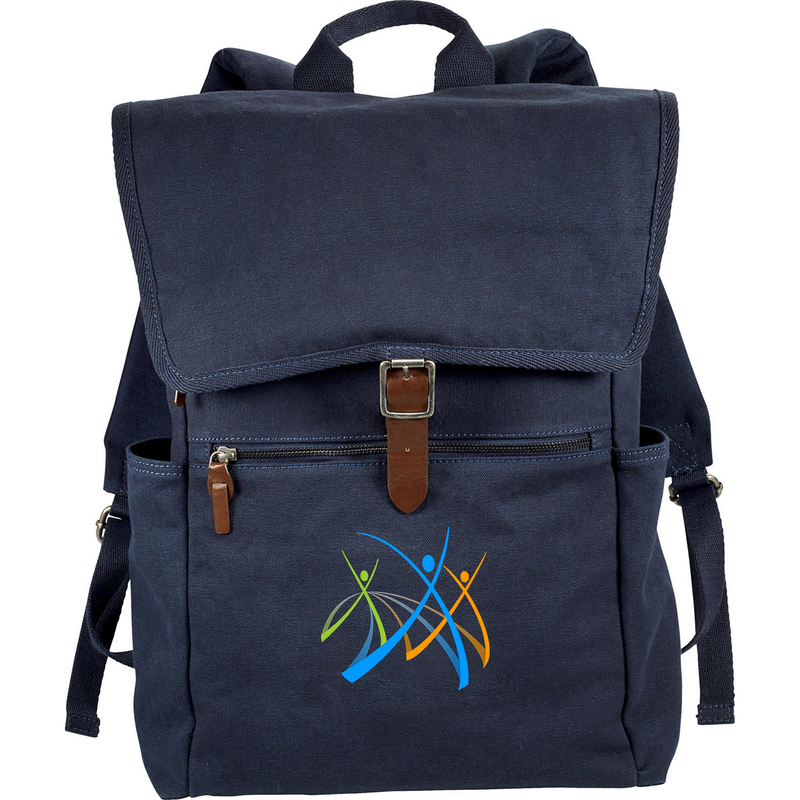 Made from 210d polyester, the backpack features adjustable web shoulder strap and carrying handle, front zippered pocket, and mesh side pocket. Team up with Bugatti for your next giveaway! This 1680D Nylon backpack provides comfort with a fully padded and ventilated mesh back, adjustable deluxe padded shoulder straps, expandable chest strap, and reinforced carry handle. Features multiple storage pockets, a front zippered pocket for business accessories and quick access, media pocket with moulded headphone port, dual lateral expandable mesh pockets, and up to a 15.6 inch fully padded computer compartment. 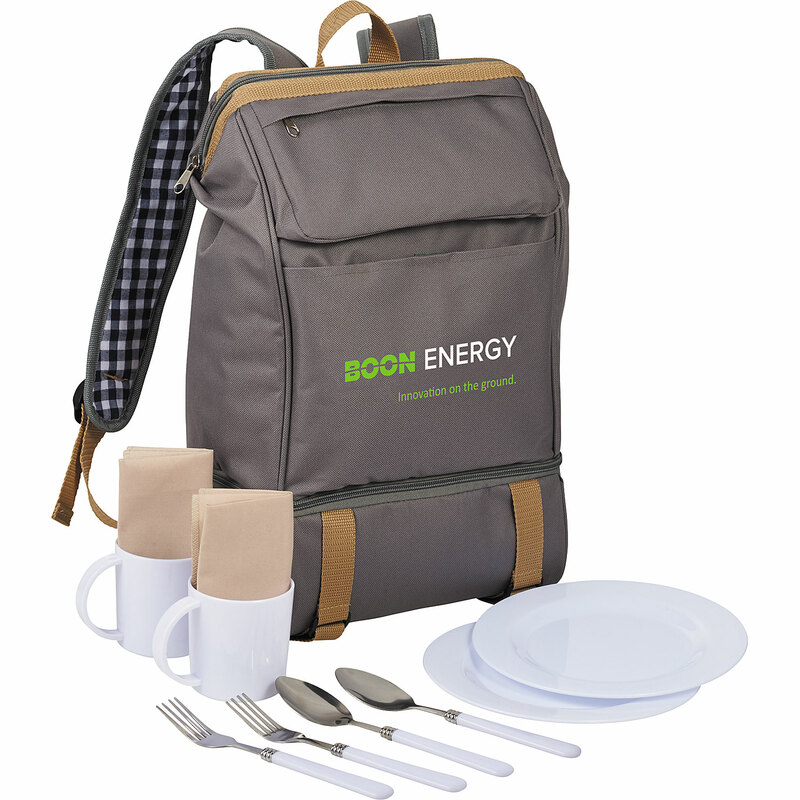 Take your special someone for a picnic in the park with this 11 piece picnic backpack for two. The made from 600D polycanvas backpack has a main compartment with a wide opening to make it easy to access all the picnic pieces and a separate PEVA insulated cooler storage that can fit up to 6 cans. This set comes with 2 each of: 8 in. plates, mugs, forks, spoons and napkins making it perfect for a picnic or tailgating!